Carbohydrates deliver the body’s main source of energy, called glycogen. Low-carb diets only limit the amount of glycogen your body gets, which in turn limits your energy levels. On the other hand, consuming too many carbs increases the potential for weight gain and obesity-related diseases, such as diabetes. Finding a happy medium when it comes to carbohydrate intake is the key to getting enough of this macronutrient without overdoing it. The U.S. Department of Agriculture offers a straightforward recommendation when it comes to carbohydrates. It states Americans of any age should consume 45 to 65 percent of their daily calories from sources of carbohydrates, which makes it the most abundant source of calories in your diet. This means the maximum intake of carbs, according to the USDA, is 65 percent of your daily caloric intake. This amount of carbs may benefit athletes or physically active individuals needing an increased amount of energy. Like any macronutrient -- carbohydrates, fats, protein and alcohol -- carbs contribute calories to your diet, so it’s important to balance your intake of carb calories with your daily caloric needs. According to the University of Illinois McKinley Health Center, each gram of carbohydrates you consume contributes about 4 calories to your daily total. Based on a 2,000-calorie diet plan, you’d want to consume about 1,300 calories from sources of carbohydrates to reach the maximum level of 65 percent. This is equivalent to 325 g of carbs per day. Aside from being your main source of fuel, carbohydrates play a role in many other bodily processes. They support healthy functioning of your brain, liver, nervous system and muscles. 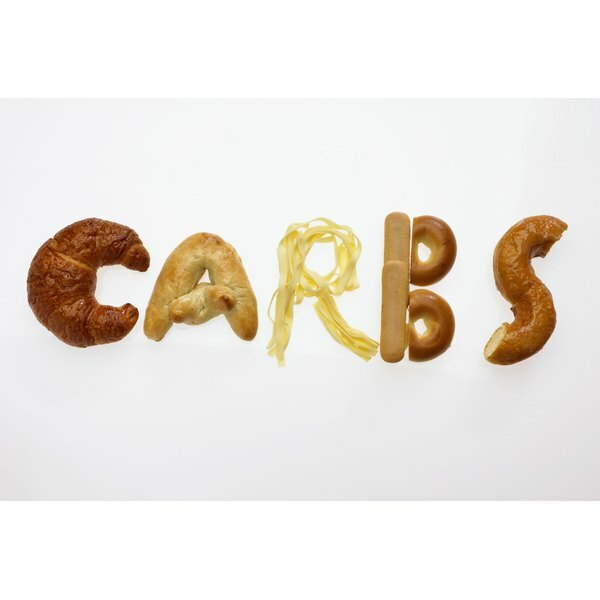 Carbs also help improve intestinal health and waste removal from your intestines. Fiber is a type of carbohydrate that helps reduce the risk of heart disease, obesity and high cholesterol. The USDA recommends adult women consume at least 25 g of fiber per day, while adult men need at least 38 g each day. Foods rich in carbs include whole grains, vegetables and fruits. Sugar and solid fats contribute a significant number of calories to many Americans' diet, according to the USDA, but little in the way of nutritional value. The USDA suggests increasing intake of whole grains and vegetables up to 65 percent of your total carb intake while reducing the amount of sugar and fat in your diet. A few foods rich in carbohydrates include baked potatoes at about 34 g of carbs, whole-wheat bread at 13 g per slice and carrots at 11 g per cup.